'Wine & Plenty' is a regional wine festival that is being held for the third time at Ramat Hanadiv's Memorial Gardens (adjacent to Zichron Ya'akov). This boutique festival promises visitors a scintillating cultural and culinary experience and a unique opportunity to meet local vintners, vineyard owners, and farmers. The festival confirms the area's reputation as a gem of 'wine tourism', the home of quality agricultural products, and a model of regional economic cooperation. The event is an amalgam of dialogue and partnership among the residents and communities involved, including farmers, grape growers, wineries and epicurean manufacturers. 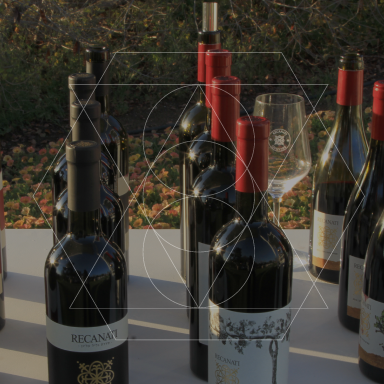 The wine festival completes the circle that links Baron Rothschild's legacy and the places where he laid the foundations for Israel's modern wine industry. Dozens of wineries -- from Hanadiv Valley, Mt. Carmel and Emek Hefer -- will be represented at the festival, along with producers of fine olive oils and other culinary delights. There will also be a range of artists and craftspeople displaying their wares: hand-made ceramics, jewelry, paintings and more. As in previous years, visitors will imbibe Ramat Hanadiv's elegant ambiance along with their wine tastings, in special goblets provided for the occasion. They'll also receive a carrying case for each wine glass and a map for touring the region. Wandering among the displays and the beautiful expanses of the Memorial Gardens, they will become acquainted with the marvelous tastes of local wines and other gourmet specialties and with the people who've produced them. Ramat Hanadiv, the Memorial Gardens and the Nature Park, were established some 60 years ago as a living memorial to Baron Edmond de Rothschild and his wife Ada. During its six decades, its mission was expanded and today Ramat Hanadiv is active in the fields of research, education, community and community-building, all centered on nature and the environment. In recent years, Ramat Hanadiv also initiated the Partnership for Regional Sustainability, which connects local community councils in order to promote the region's physical future, its quality of life, and its environmental responsibility. The festival's wine curator holds the title of Sommelier from the Fisar Association [check English title!] in Italy, and frequently takes part in international wine competitions. Today, she is the director of the Shefaya Winery, lectures about Italian wines and global wine tourism at the Ramat Gan College, and consults with wineries that are aiming to upgrade their tourist facilities and launch and promote regional wine and culinary tourism. 'Wine & Plenty' is produced by Eden Productions and directed by Hagit Lehrer, a professional planner of special events and wine festivals.